I am writing to you tonight from Fort Holbrook. Fort Holbrook is a magical place! Fort Holbrook is the four foot radius extending from the ceramic space heater in the living room to the end tables by the couch. At night we congregate here, two humans, a Scottie, and a woolly mammoth of an un-groomed Wire Fox Terrier, and also the woolly mammoth's baby, a stuffed dog named Rex. We wedge ourselves into this tiny corner of the house in our pjs and stockings and battle for floor space among elbows and knees and furry wet noses. The prime spot is close enough to the space heater that you feel toasty without singeing your whiskers off. Back tickles at Fort Holbrook would be very nice indeed but I don't get my hopes up, because life can be cruel. While encamping at Fort Holbrook we surf the Internet, sigh tired doggie sighs, play Settlers online against robots, and see how long we can stand having our personal space bubbles invaded. We really are quite the happening people. It is important for people to have forts I think. Once I came home from work to find a Peter Pan fort on the bed. He had put together a giant nest of pillows and blankets and every stuffed animal he had ever loved in his pathetic little life. When I discovered Peter Pan in his fort that day he was out cold, strewn over stuffed turtles and teddy bears in total doggy exhaustion. I thought it looked pretty much like the epitome of what I hoped to do when I grew up. My fort needs a good Internet connection, thick socks, a cold can of Diet Coke, and lots of space for daydreams. And white Christmas lights. The Holbs likes a strong heat source, a blanket, and a dog (the smellier the better). Let's all build us some forts tonight, shall we? they are adorable and your shirt is pretty kewl too. In my fort, (which would be between the wood burning stove and the corner fireplace) I would have super soft cushions, a huge supply of fat-free fig newtons (unavailable here in Italy), the ratty but much loved afgan that my great aunt knitted for me, and that piece of cross stitch that I've been working on and off for 9 years. They really cute and I love your shirt! I just realized that my fort needs to be remodeled. It consists of a quilt that hangs from the top of my entertainment center down to the arm of the sectional, and then over to the mantle of the fireplace. It offers everything a man can want in a fort. Warmth from the fire, my TV, and "my spot" on the couch which is closest to the TV because I can't hear my program with all of you damn kids making all of that racket. The only thing missing in my otherwise perfectly designed architectural masterpiece is my computer. It's a good ten feet away which forces me to venture out to see what "The Rat" has to say next. Worry not though, this is nothing that a quick trip to Costco's electronics department where I can pick up a laptop at a very competetive price wont fix. Cracking me up, fun as usual Rat. Thanks! wow...all I can say is wow. I love your depth. haha, just noticed that your LDS...same over here. I love back tickles, I thought perhaps I was alone in that. When I say that my hubs looks at me like I grew up on Mars. AND, I love forts. Not love them like say a normal person does, more like I am obsessed with them really. Me and my boys build them every night. That's gotta be so surreal -- I mean, here you are, plugging away on this blog to this little audience for so long, and then BOOM! Blog of note, and your reader base just explodes!! I just started my little blog, and I can't imagine getting TWO comments a day from people I don't know, let alone thirty or forty or...well. You know. I'm one of those "strangers" that just showed up, but I gotta say, I'm lovin' it. And my little blog has gained a reader or two from here, so I'm going to head on over and grab a button to show my appreciation. Plus I love the bagel one...and the ice cream cone one...I'm going to have serious issues picking! PS. I adore the shirt you made- once again I'm making a resolution to learn how to sew (as I have been time and time again for the past how-ever-many years now, and your baby clothes are too cute. Oh, and one more thing! The new layout looks great :) I'm taking myself a button. It looks good enough to eat. I have a weird definition of a fort currently...I love going into hubby's cafe and holing up in a booth (ignoring the looks from people who might actually require that many seats)and with my laptop/book/craft/writing I slip my shoes off (umah! )and settle in for as long as my hubby brings me beverages and snacks or as long as my toddler doesn't do nuts and start attempting to steal food of other diner's plates :) I WOULD stay there all day if I could though. I found you through ``blog of note``, and I love you - not in a creepy way, just in a ``wow, she`s great`` sort of way. I recently built a fort, actually. A rather small fort, just large enough to squeeze in little me and my 37" tall son. We built that fort right nice. Made of squishy blankets, fluffy pillows and a couple of stuffed toys. Filled it with some giggles and called it complete. My kids like to make forts and it is cool and all until I have to clean it up. Maybe next year I can my own forts sans kids as they'll all be in school (YIPEE!). Love all of the shirts! I keep telling myself I am going to learn how to sew, but I cant find the foot of my sewing machine and I dont know how to thread the darn thing. I make forts with my brothers all the time. The best adventures can happen with a fort and a little imagination. And I love the onesies! Sigh...we are getting the messy, mud-making, should-be-rain kind of snow here too. My fort is a hot steamy bath with the shower curtains drawn and a good book; very cozy and relaxing. My fort would definitely have space for lots of books. I imagine that someday I will be able to have one of those gorgeous window seats with trees and vines clinging to the outside. I will have a book shelf on either side with pillows and soft blankets everywhere. Perhaps in the same room there will be cozy carpeting and a warm open fire place crackling. Right now my fort is my bed where I crawl in with the kid at my side. Perhaps to just nurse the baby and cuddle with the munchkin. Perhaps I lock the door and have some 'me' time with a book. I love my bed and someday I would like to have a canopy above it with soft curtains falling all around. The windows will be constantly open in my room then, so that the bed-curtains will blow in a soft breeze. I'll lay under the large fluffy blankets with my kids and take silly pictures. Or cuddle with my husband and watch an episode of our favorite TV show on the computer in front of us. I agree, a fort is a wonderful thing. I have a fort too! It's a comfy place on the old sofa that my parents gave my husband and me when they bought a new one. The cushions are old, of course, so we sorta sink into them and end up sitting closer to the springs in the couch than actually on the cushions. But it's our place and we love it. It's usually filled with pillows and blankets, sometimes laundry that we fold while we watch our favorite TV shows, and sometimes dinner, magazines and books are invited into our fort. It's lovely. Unfortunately, our 70-lb labrador retriever has to live outside for fear she would destroy our main fort. I love a fort! In fact, I climbed in my yesterday. I lit the fireplace, crawled under a blanket and read for a couple of hours. It was relaxing and divine. If I haven't said it before, let me say it again. I love reading your blog. I love how random and entertaining it is. There are so many comments I feel like my comment would just be redundant. Anyway, love your blog-found it through blogs of note and I must say I'm envious of your readership. My blog has 2 readers and one is me haha. In regards to the 'fort' discussion, I write from my fort which is a fluffy green chair holed up in a little nook in my tiny room (it's amazing that I can even fit a fort in my room which is almost a fort itself) with a fluffy purple blanket, a lamp, a stack of notebooks, paper and post-it notes and a huge cup of coffee all of which looks out a window showing the ATL skyline-perfect. Also, that shirt has inspired me to great depths and now I must go give in to the creative urge that inevitably will leave me pissed off and feeling sucky because I'm bad at being creative. 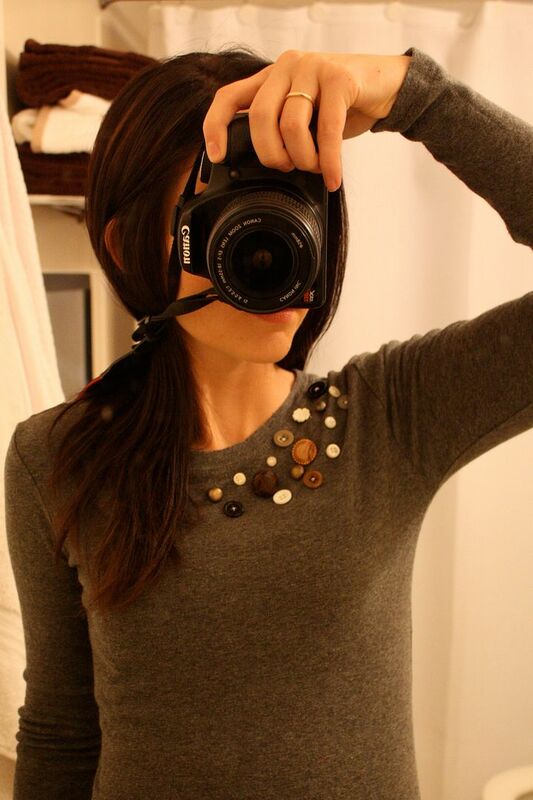 natalie - button shirt = adorable. not that he;s not smart enough to use blankets on his own (he's 4), but mom is more likely to let him drag this out than all the blankets in the house. i would need pink for mine. So I'm thinking that Peter Pan is the long-lost twin brother of Einstein, my weirdo Boston Terrier. Einstein also loves to take stuffed toys and hold them in his mouth, ever so delicately. He'll even lick them like a mama cleaning a baby before eventually falling asleep still holding it in his mouth. Then he rips the baby's guts out and the house looks like a stuffed animal murder scene. He also loves to wrap himself in any soft fabric we've got laying around. What odd little dogs we have! From one of your new "stranger" friends...my fort includes my great-grandma's quilt, the NY Times Sunday crossword puzzle (keeps me occupied for days) and, as a diversion from the puzzle, a book, maybe margaret atwood or miranda july. short stories are good since i can pay attention long enough to finish one. Naked Wife - Under the covers, nose in the armpit, every night. What weirdo dogs we have! ALH - No such thing as redundancy, every comment is sacred! I just started reading your blog a few days ago (Thank You blogs of note!) and I am really enjoying the little glimpses into your life! A little about me: I am married, have a two year old little boy and live in Washington state, which I think is the best place in the world to call home! My fort has a giant diet Coke from McDonald's, fresh hot stove-popped popcorn, the scarf I will be knitting until I die, a peephole to the TV and my dog...we will nestle down in cushions and warmth and sleep, knit, stare. We will skootch in to make room for my sweetiepie when he gets home from work, so that he won't feel sad and left out, and will tell him how, even though it looks perfect, it was really not all that fun without him. OH, and we should probably have some wine...no fort is complete without some sort of hootch. My fort would most likely have a wonderful novel that traps my attention for hours, a cup of cocoa, and all my fuzzy blankets and pillows. Then, even if its blustery cold and blowing snow, my mood will still be wonderful when my hubby gets home. Then I would switch the novel for re-runs of I love Lucy and snuggle with him 'til i fall asleep. I cant think of anything better! I just love reading your blog. The way you write makes me smile. You descriptions of snow were spot on. Yup - I also feel that my comment at the end of all these other comments is kind of useless. It must be amazing to have so many comments and to have such a load of followers. I started my blog quite recently. I'm loving it but am still at the stage where a comment is exciting!! I love your blog though. Am going to think about my writing space in the peace of the evenings in quite a different way. When I was little I had a super cool fort...it was a canvas teepee my parents got me at Costco. And it was a-mazing. Then in an elementary school Oregon Trail play, I wasn't chosen to be a cool pilgrim...I had to wear feathers and moccasins instead. I got really annoyed being asked a million times if I was a real Native American, because I was pretty much the only not-fully-white kid in my class. And so...I quit the teepee. Poor, poor teepee. I'd totally use it now! I think I'll have to make a fort tonight. I love your blog! (Found it when you were a Blog of Note.) I also love the shirt you made. I might try to make myself one. I enjoy reading about your doggies. My husband says too many of my blog posts and tweets are about our dog. I think you can't have too many! I don't know if I really have a fort.... I usually camp out on the couch with a blanket my great grandma made. And the computer. And sometimes a book. And always Pixie, my dog. SUPER CUTE onsies!!! tree is my fav :)but they are all adorable. More than loving forts, I hate invasions. Hate when people just come in and turn on the lights (an absence of respect that shocks me!!! )(I always believe that humans tend to kindness)(Lights here in literal or metaphorical senses, whatever). cute shirt. bad-a camera. and lovely locks. Really enjoy your writing. And I love that you pay homage to the fort. Everyone should have one. Mine would be in the corner of 'the man room' under the window and nestled beside the woodstove. I would remove all sports memorabilia and spiders. The pup and I would have warm blankets to snuggle in and treats to keep up happy. Frosty Paws for her and Tagalongs for me. I would read all my favorite books while she snored beside me. And the girls would reclaim 'the man room'.